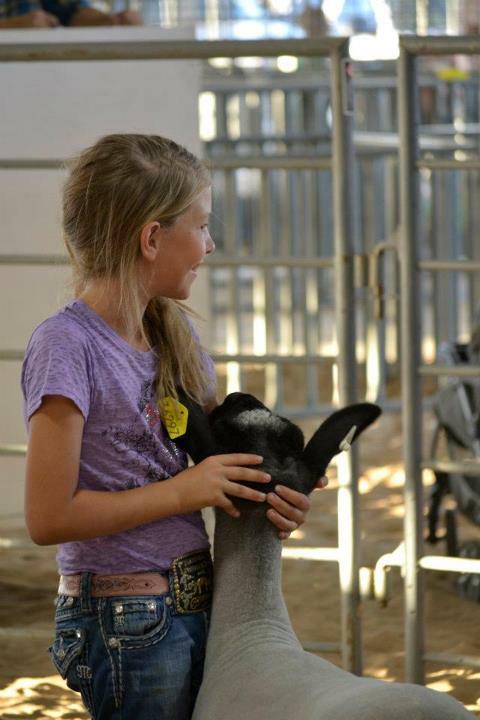 Here are some pictures of what we love to do as a family...showing livestock! Thanks for visiting our website. Thank You 2018 Greeley County Fair Junior Livestock Auction Buyers! Here are few other pictures of our family doing what we love to do...showing good livestock! 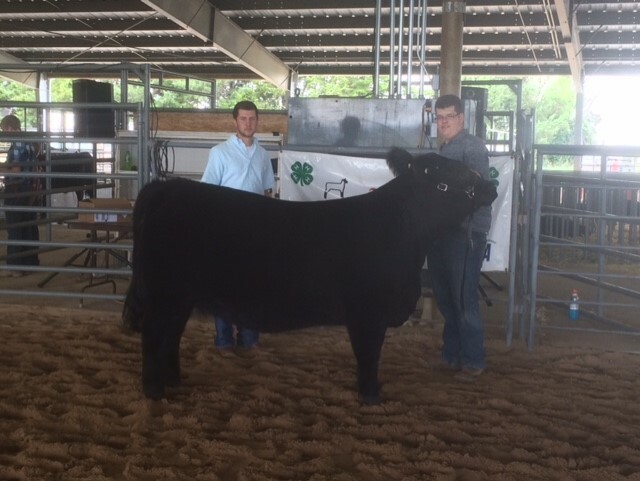 2017 - Wyatt finished his 4-H Career with a Steer he raised out of the cow who was his first Grand Champion Market Beef at the Greeley County Fair in 2009! A 9 year run as the Grand Champion Market Beef is hard to do! We are extremely proud of this steer "Thor" (I-80 x Amelia)! Placed 5th in the heavyweight Maine Anjou Class at the Kansas State Fair! 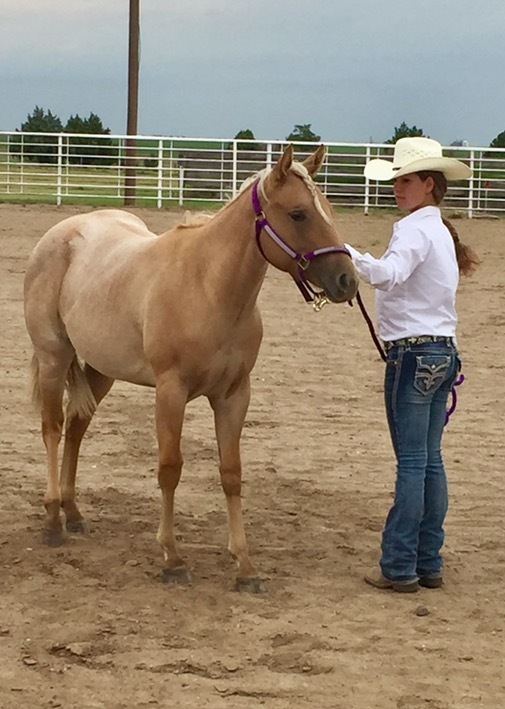 Josey showing her filly "Dreamer" at the 2017 Greeley County Fair! 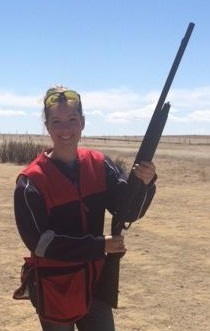 She's also become a really good Trap Shooter! We had a good run with the hogs in 2017! Grand and Reserve Grand Champion Loyalty Day Spring Livestock Show, Winger Memorial, and Grand Champion Market Hog and Breeding Gilt at the Greeley County Fair! 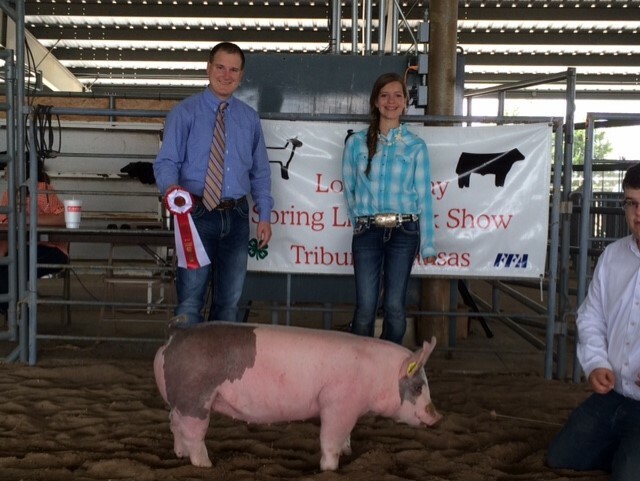 2016 - Wyatt with "Chomp" (Tres Amigo Showpigs): Champion Crossbred Market Hog at the 2016 Greeley County Fair and Reserve Grand Champion at the 30th Annual SWKLC! 2016 - Josey with "Petey" (Torpedo Farms): Champion Yorkshire each time shown and Grand Champion Market Hog at the 30th Annual SWKLC! Josey with "Chubs": Reserve Grand Champion Breeding Gilt at Loyalty Day Spring Livestock Show and 2016 Greeley County Fair! 2014 - Wyatt with "Salsa" (Bullet x Heatwave): Champion Crossbred Steer 4 times, Reserve Cross 1 time at 5 Shows! 2014 - Josey with "Lady" (Two Tone x Frosty) bred by Smith Cattle Company. 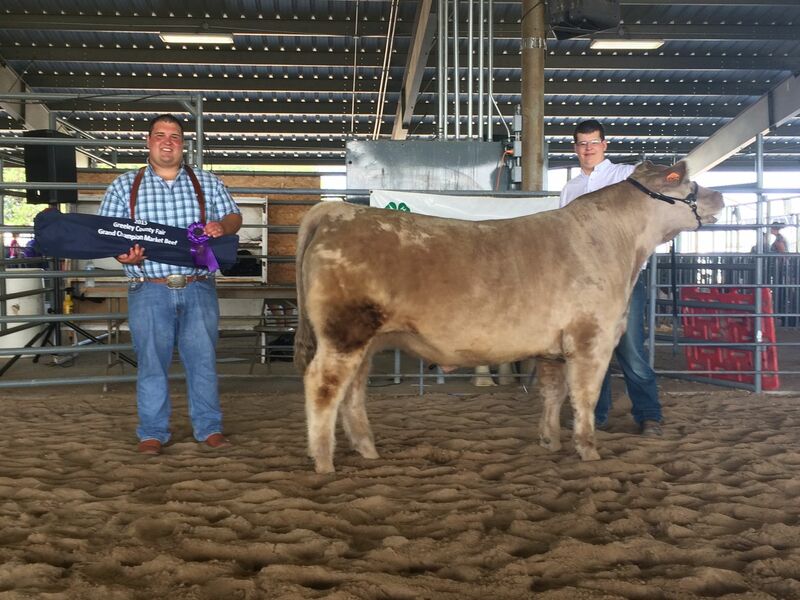 Grand Champion Breeding Heifer and Reserve Grand Market Beef at 2014 Greeley County Fair. Champion Market Heifer and 3rd Overall Market Beef at the 2014 SWKLC! 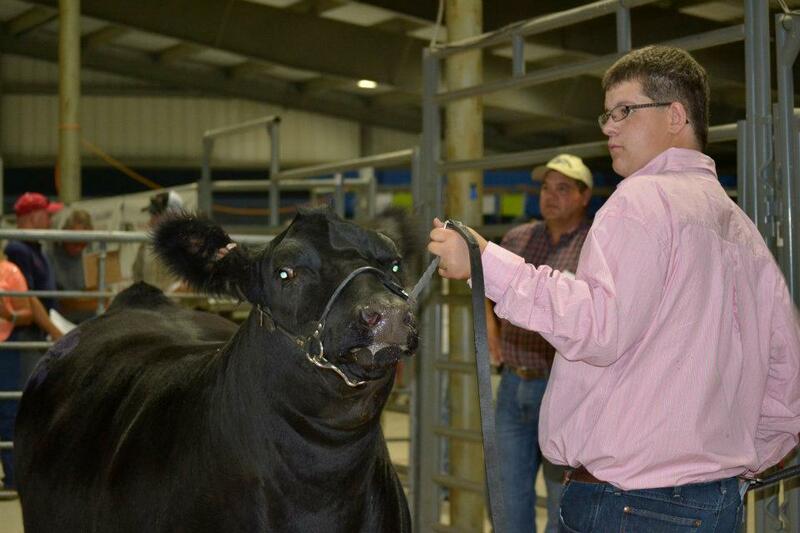 2013 - Wyatt with "Chip" (Bullet x Heatwave) Grand Champion Market Beef at 2013 Greeley County Fair! Reserve Cross and 3rd Overall Market Steer at Southwest Kansas Livestock Classic (SWKLC)! Market Beef 2013 Greeley County Fair. Grand Champion Breeding Heifer at the 2013 Southwest Kansas Livestock Classic! 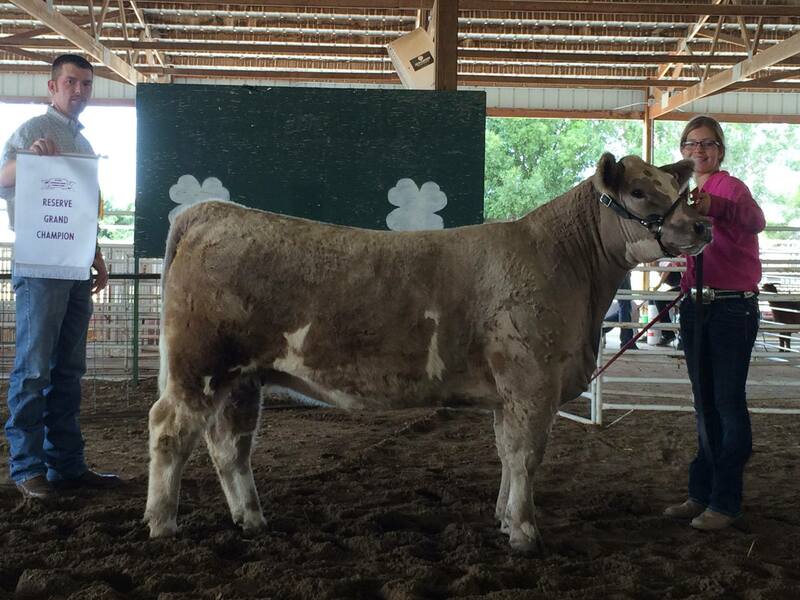 2013 - "Charlie" (Carnac x Simmi/Maine) - Reserve Grand Champion Breeding Heifer at Greeley County Fair. Reserve Grand Champion Breeding Heifer at Southwest Kansas Livestock Classic! 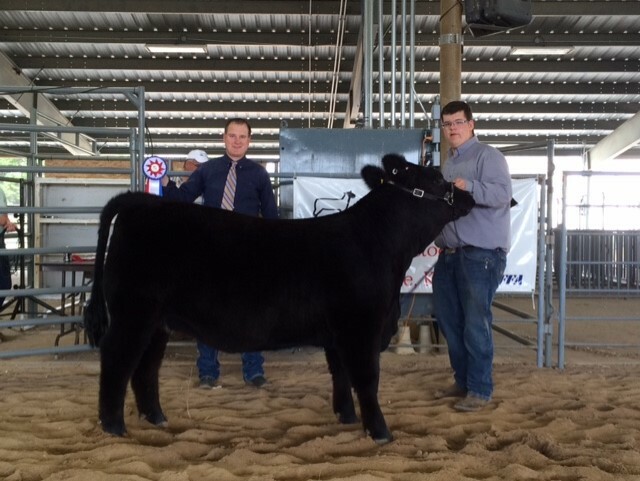 Bred by: Smith Cattle Co.
2013 - Josey with "Jewels" (Choppin Wood x Heatwave) 3rd Overall Breeding Heifer at SWKLC! Bred by: Bellar Cattle Co.
2012 - Josey with "Candy" (Eye Candy x Dirty Harry): Reserve Market Heifer at Stanton Co. Spring Beef Show; Champion Commercial and Reserve Grand Champion Breeding Heifer at Loyalty Day Show; Champion Commercial and Reserve Grand Breeding Heifer at 2012 Greeley County Fair; Champion Crossbred Market Heifer at Greeley County Fair. Champion Commercial Breeding Heifer and Grand Champion Breeding Heifer at the 2012 Southwest Kansas Livestock Classic! 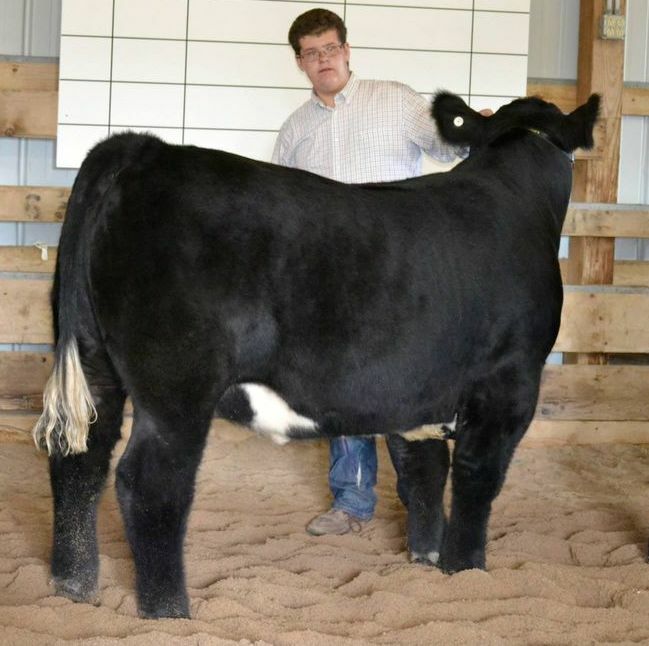 2012 - Wyatt with "Bella" (Monopoly x Maine/Simmi): Grand Champion Market Beef and Grand Champion Breeding Heifer at the 2012 Greeley Count Fair! Champion Market Heifer and 5th Overall Market Beef at the 2012 Southwest Kansas Livestock Classic! 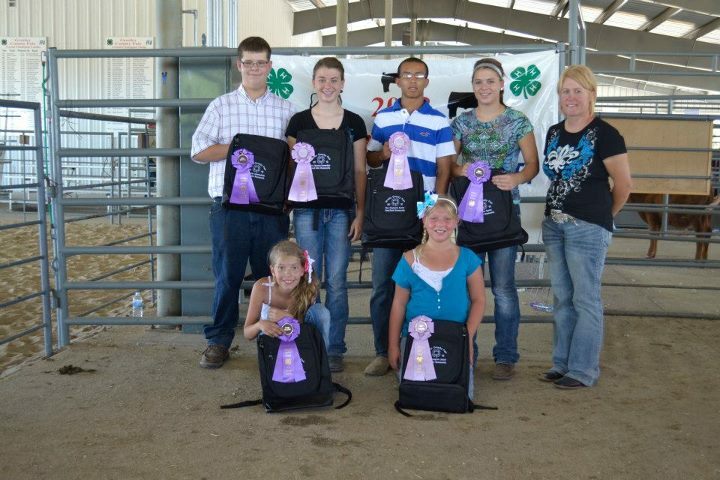 2012 - Wyatt and Josey were awarded Grand Champion in the Round Robin competition at the Greeley County Fair! 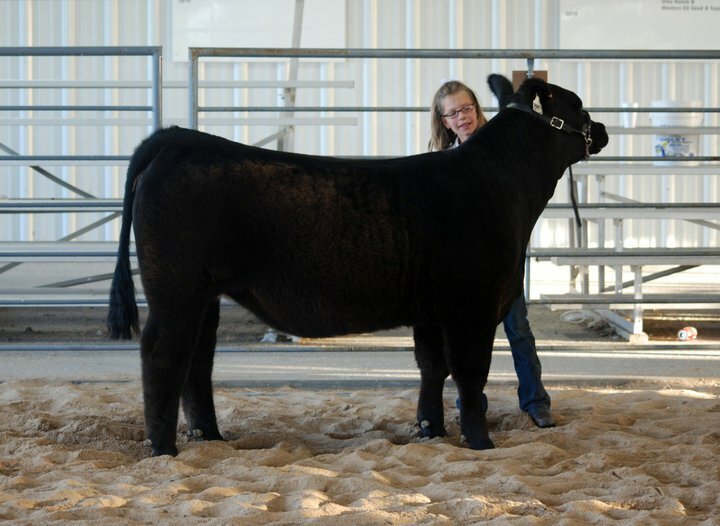 2011 - Josey with "Stella" (Monopoly x Ice Pick): Reserve Commercial Breeding Heifer Stanton Co. Spring Beef Show; Reserve Continental Breeding Heifer and Reserve Grand Champion Breeding Heifer - Hamilton Co. Spring Show; and Reserve Grand Champion Market Beef at Greeley County Fair! 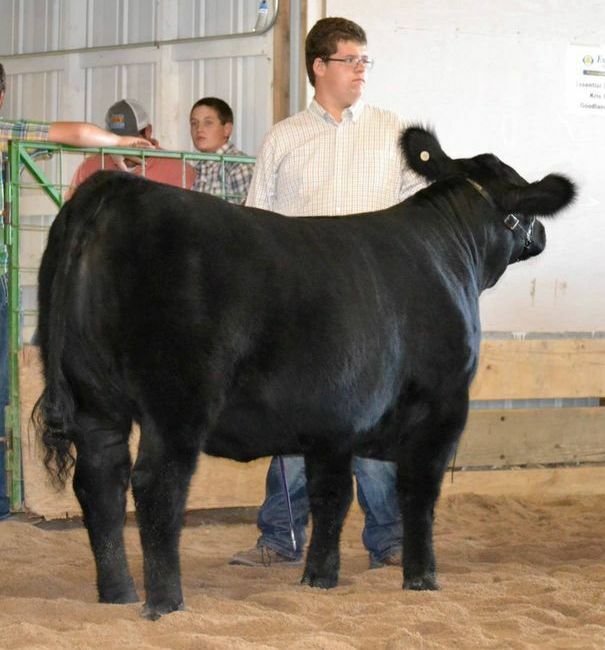 2011 - Josey with "Roxi" (Immortal x Maine/Angus): Reserve Market Heifer at Hamilton Co. Spring Show; Reserve Commercial Breeding Heifer at Greeley County Fair; Reserve Crossbred Market Heifer at Greeley County Fair! 2011 - Wyatt with "Jolene" (Walks Alone x Cervesa): Reserve Continental Breeding Heifer and Reserve Prospect Market Heifer at Loyalty Day Spring Livestock Show; Champion Chi Breeding Heifer, Reserve Continental Breeding Heifer and Reserve Grand Champion Breeding Heifer at Grant County Spring Livestock Show; Champion Continental and Grand Champion Breeding Heifer at Hamilton County Spring Livestock Show; Grand Champion Breeding Heifer at Greeley County Fair; and Grand Champion Market Beef at Greeley County Fair! 2011 - Wyatt with "Star" (Hired Man x Heatwave): Reserve Champion Market Heifer at Hamilton County Spring Livestock Show; Reserve Champion Commercial Breeding Heifer at Santa Fe Trail Livestock Classic Show; Reserve Grand Champion Breeding Heifer at Greeley County Fair; Champion Commercial Breeding Heifer at SWKLC; and 3rd Overall Breeding Heifer at SWKLC! 2010 - Wyatt with "Beth" (Unforgiven x Cookie Monster): Reserve Grand Champion Breeding Heifer at Gas Capital Livestock Show. Grand Breeding Heifer at Morton County Livestock Show (Champion Continental). Champion Mkt. Heifer at Morton Co. Show, and Reserve Continental Breeding Heifer at Hamilton County Livestock Show. Grand Champion Market Beef 2010 Greeley County Fair and Reserve Grand Champion Breeding Heifer at 2010 Greeley County Fair. Also, Champion Intermediate Beef Showman! Grand Champion Breeding Heifer at the 2010 Southwest Kansas Livestock Classic! 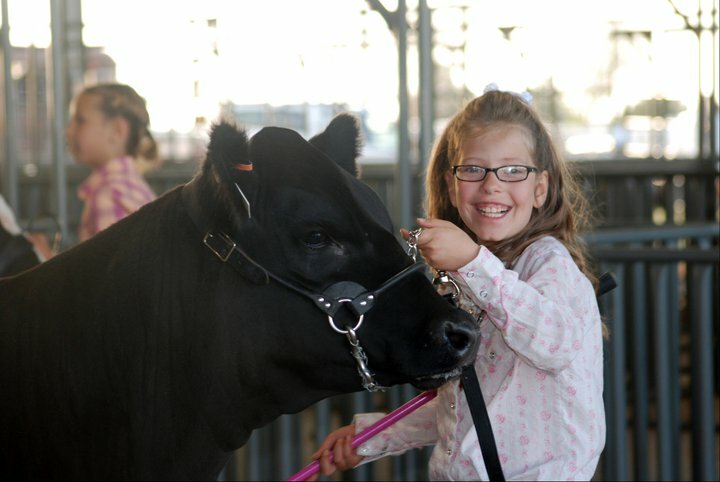 2010 - Josey with "Nancy" (Heatwave x Strictly Business): Champion Junior Beef Showman at Gas Capital Livestock Show. 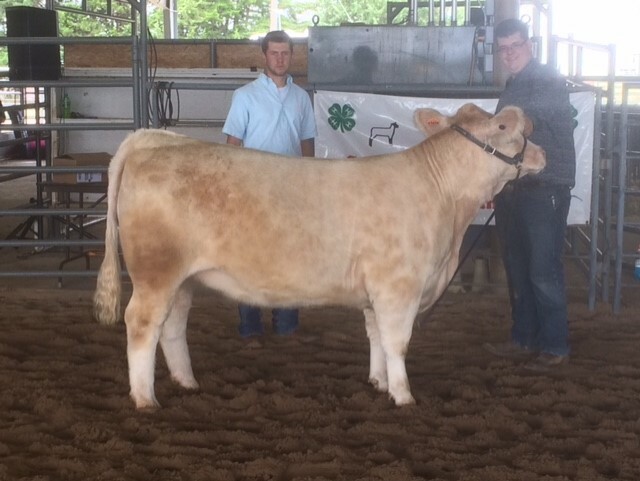 Reserve Grand Breeding Heifer at Morton Co. Spring Livestock Show (Reserve Continental). Reserve Mkt. Heifer at Morton Co. Show, and Champion Continental Breeding Heifer at Hamilton County Livestock Show. Grand Champion Breeding Heifer at 2010 Greeley County Fair and Reserve Grand Champion Market Beef at 2010 Greeley County Fair. Also, Reserve Champion Junior Beef Showman! 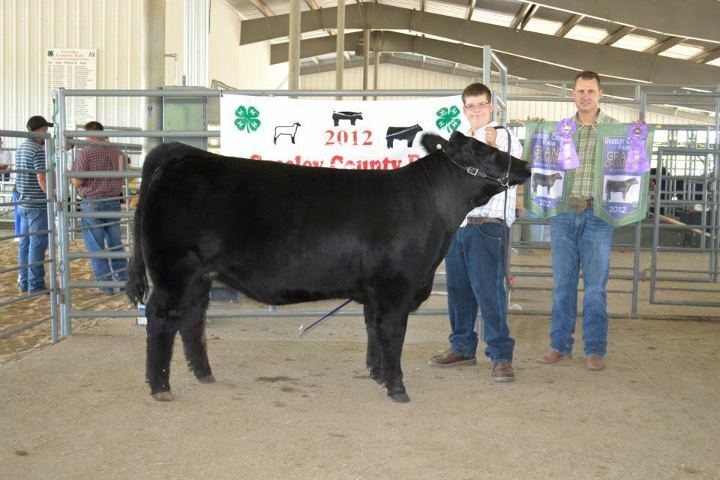 Reserve Grand Champion Breeding Heifer at the 2010 Southwest Kansas Livestock Classic! 2010 - Wyatt with "Dandelion" - Champion Hampshire Market Lamb, Grand Champion Market Lamb, Champion Purebred Breeding Ewe and Grand Champion Breeding Ewe at 2010 Greeley County Fair. Bred by: Swan Club Lambs. Grand Champion Market Beef 2009 Greeley County Fair - Grand Champion Prospect Mkt. 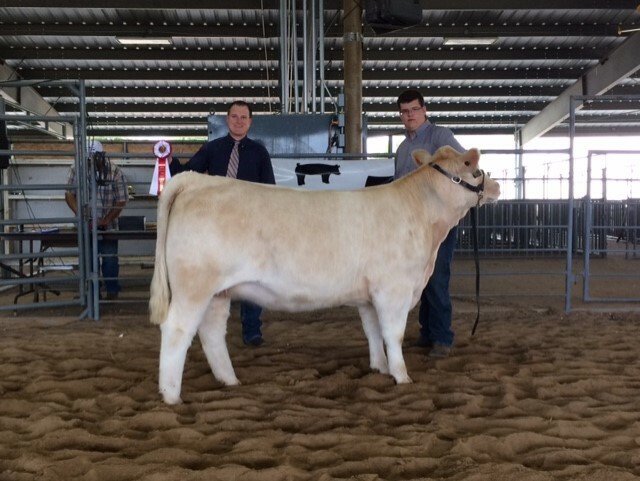 Beef Santa Fe Trail Classic - Reserve Grand Champion Prospect Market Beef Haskell County Spring Show - Reserve Market Heifer Loyalty Day Spring Livestock Show. Champion Market Heifer and Reserve Grand Champion Market Beef at Southwest Kansas Livestock Classic! Grand Champion Breeding Heifer 2009 Greeley County Fair - Grand Champion Breeding Heifer Haskell County Spring Show. Reserve Champion Commercial Breeding Heifer and Top 5 Overall at Southwest Kansas Livestock Classic. 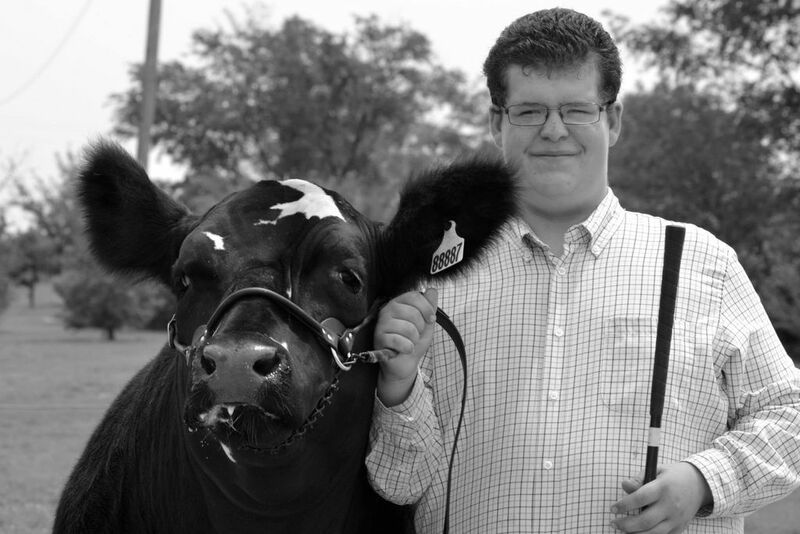 2008 - Wyatt with "Panda" ( a Golden Child Heifer). "Panda" has truly been amazing for Wyatt's first year showing cattle. She has been 1st or 2nd in her class several times out and she was named Champion Market Heifer at Hamilton County Spring Show. A HUGE Thank You to Jeff Wilson and Family for letting us have this wonderful heifer and for all of your help and friendship. 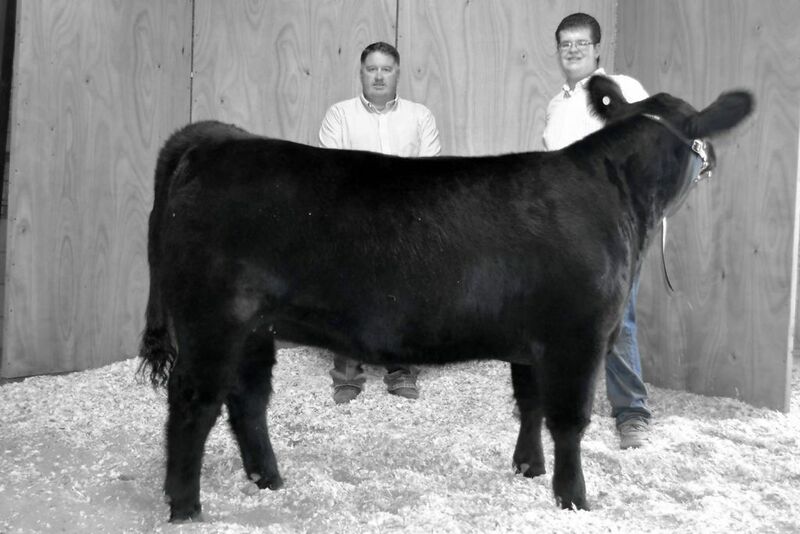 "Panda" was selected as the Grand Champion Breeding Heifer, Champion Market Heifer, and Reserve Grand Champion Market Beef at the 2008 Greeley County Fair! Panda was just named 2008 Southwest Kansas Livestock Classic Champion Market Heifer. Bred by: Arrowhead Cattle Co.
2008 - Wyatt with "Jasmine"
Champion Cross and Grand Champion Market Lamb at 2008 Greeley County Fair! Wyatt with "Jasmine" at the 2008 Tri-State Royal - made it to the Final 6! 2008 - Wyatt with "Rose"
Grand Champion Breeding Ewe at 2008 Greeley County Fair and Reserve Champion Hampshire! 2008 - Wyatt with "Buddy"
Champion Natural and Reserve Grand Champion Market Lamb at 2008 Greeley County Fair! Thanks Frank Swan for the great set of lambs! Wyatt and I at the 2008 National Western Stock Show in Denver. This was our first experience at the big show. We learned a lot, had fun, and came home with a terrible cold! 2007 - Wyatt with his Reserve Grand Champion Market Lamb "Flower" at the 2007 Greeley County Fair. 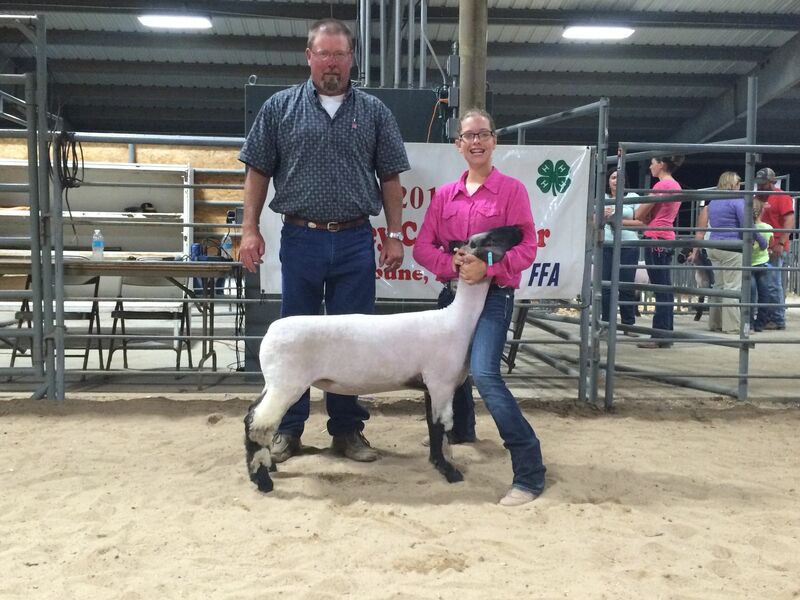 "Flower" was also named Champion Crossbred and 4th Overall Market Lamb at the Southwest Kansas Livestock Classic! Purchased from T & T Club Lambs in Hiwasse, Arkansas. Thanks Greg and Dawn!!! "Star" was also purchased from T & T Club Lambs. Star was 2nd in the Heavy Crossbred Class to the Grand. Star was named Champion or Reserve Crossbred at several of the spring shows this year. "Flower" placed 11th in her class at the 2007 Kansas Junior Livestock Show Wether Dam Division. "Moonshine" was Champion Natural at the 2007 Greeley County Fair. She was also named Champion or Reserve Natural at almost every spring show we attended this spring. "Moonshine" was just named Reserve Champion Natural Color and 5th Overall Market Lamb at the 2007 Southwest Kansas Livestock Classic. "Moonshine" placed 10th in her class at the KJLS Wether Dam Show. "33" was Reserve Champion Suffolk at the 2007 Greeley County Fair. 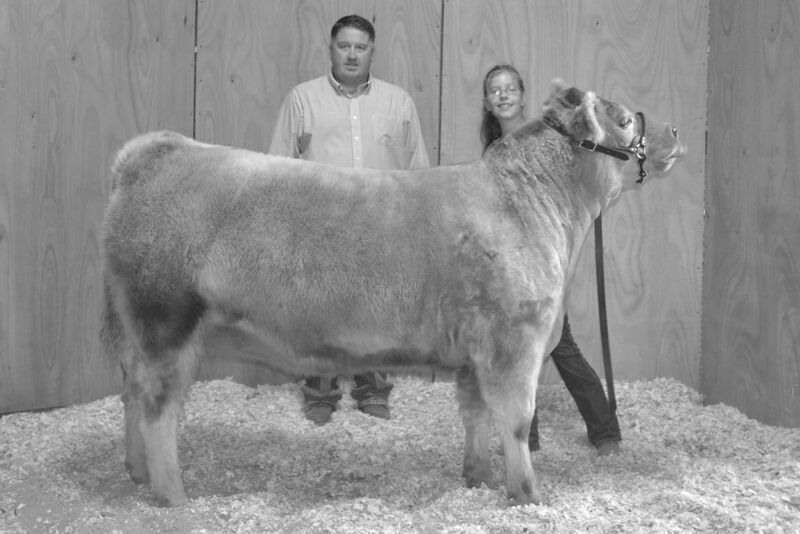 She was named Champion Suffolk at the Winger Memorial Spring Show this past May and stood 4th in Class at the SWKLC. "Sunny" was Reserve Champion Hampshire at the 2007 Greeley County Fair. I think she is a great one! She's been knocking on the door at every show this spring. Congratulations Wyatt!!! "Sunny" was just named Grand Champion Breeding Ewe at the 2007 Southwest Kansas Livestock Classic! Jeff, Greg, and everyone else who has supported him this year.